Better. 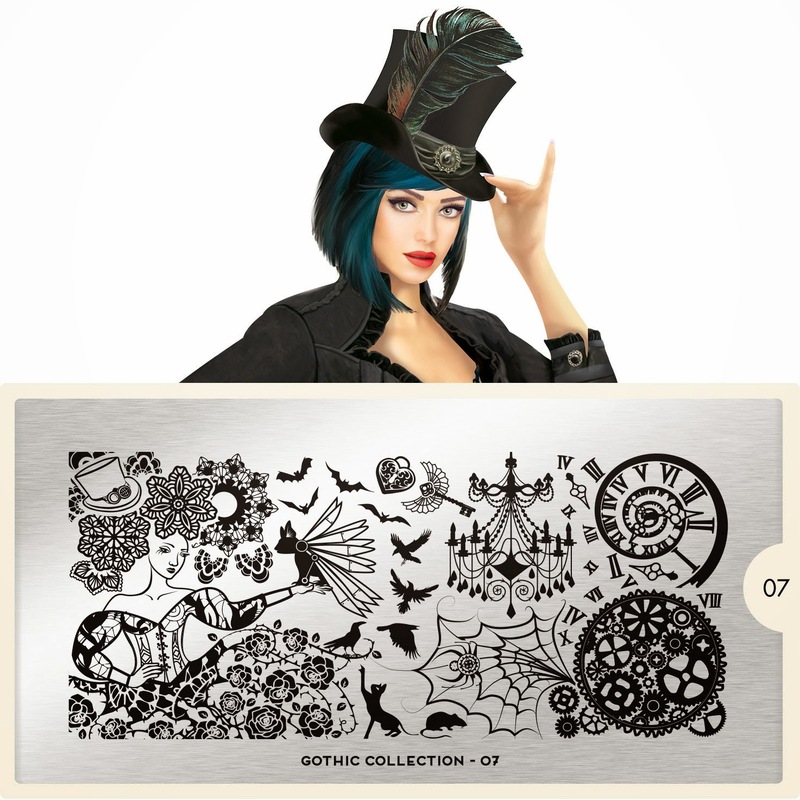 MoYou London knows how to seduce with their full sized image/landscape plates. Here I love this woman's hair and the tress. The cat and the crows are cute and definitely unique. The rat makes me want to vomit and the spiderweb is gorgeous and original in shape compared ot others I have seen. Well done! Visually for me this plate is interesting. 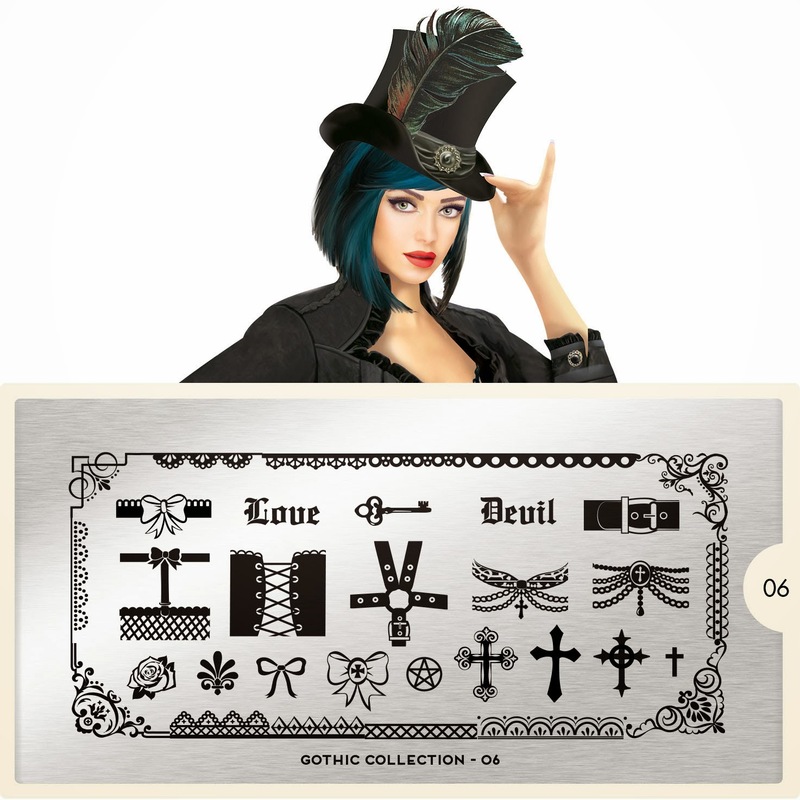 I'm not so sure how well it would translate on the nail though I see at least 3-4 emblems embedded in tis plate that would make for some gorgeous nail art! 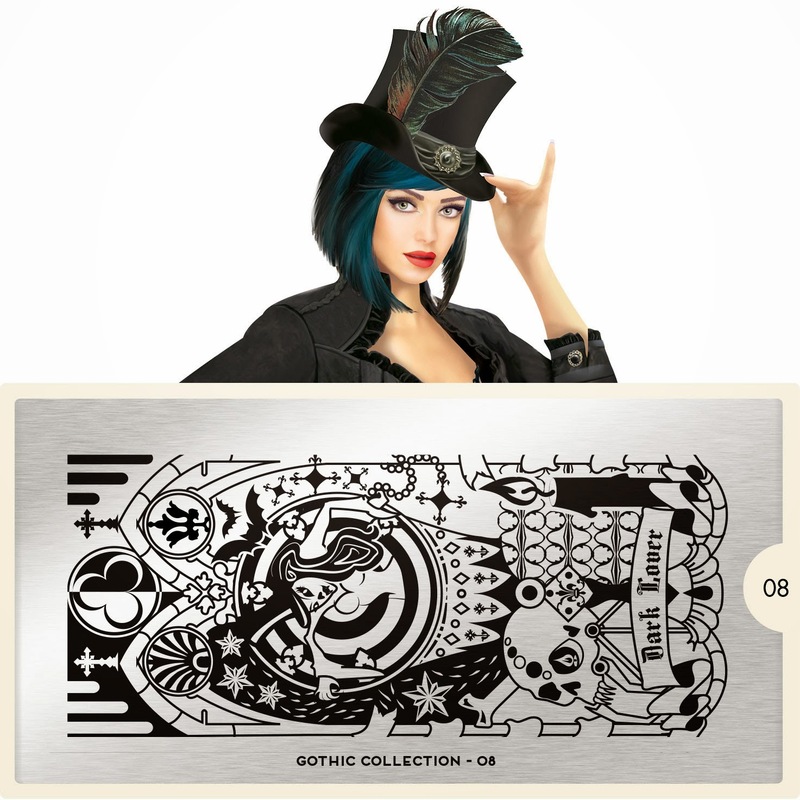 Ok so here's another look at the Gothic Collection what do you think? This collection for me is still borderline. I like the plates better this week, but of the 3 or 4 plates I'm interested in they are all wishlist-able. In short, I don't need to rush out and get them though I am tempted with plate number 7. As usual these plates retail for 4.99 GBP and will be available Friday morning on the MoYou London website. 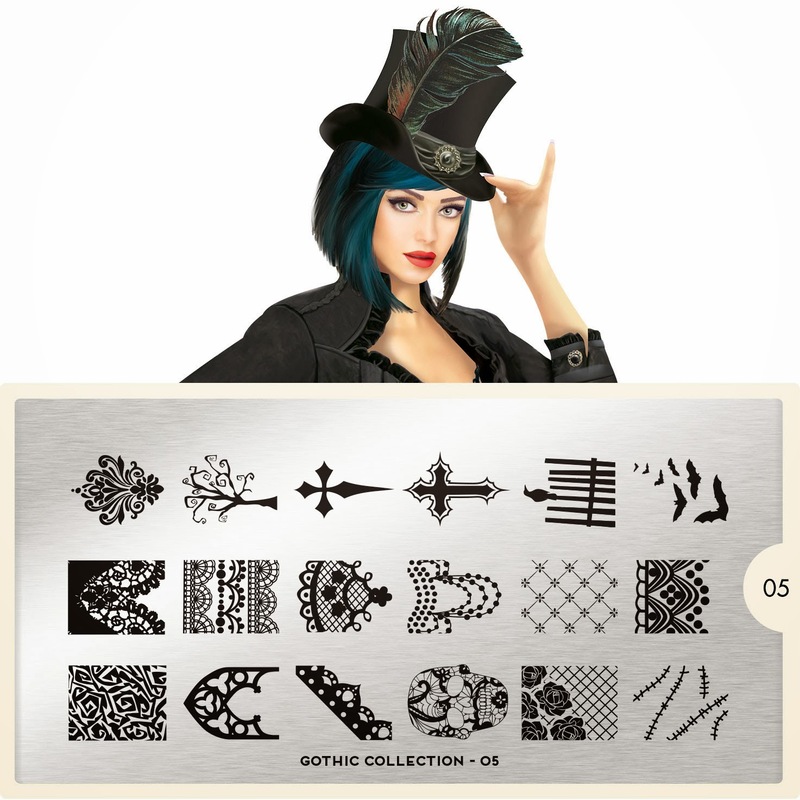 Happy hunting lacqueristas and see you next post.